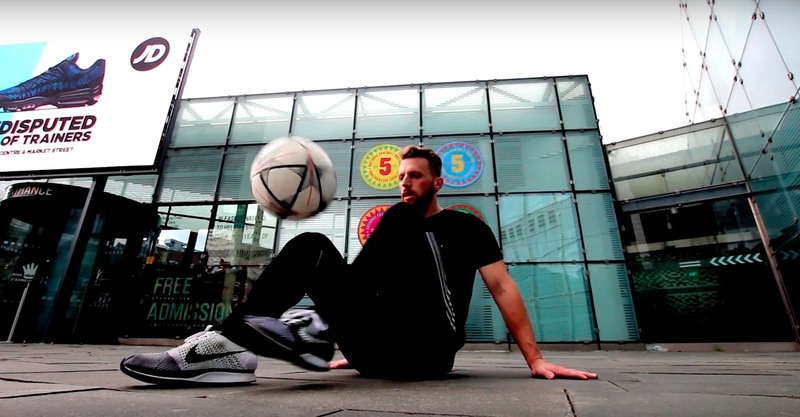 Freestyler Jak Gregory, most known for his iconic sit down style, has been out of the freestyle game since 2010. However, the UK native has made a dramatic return, and looks to use his old school flavor to his advantage in an increasingly youth-driven sport. 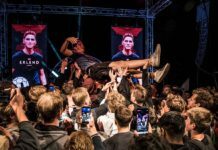 Though the talent in freestyle is currently higher than it’s ever been, there have been a fair share of fantastic freestylers who have come and gone over the years. One of those is UK sit down legend Jak Gregory, who has since recently made his return after a nearly seven-year absence. Gregory was on the rise, finishing in third in the UK Red Bull Street Style Finals in 2009, before a back injury caused a halt in his training which eventually led to him leaving freestyle altogether. Gregory was completely ahead of his peers when it came to sit down tricks, and his iconic style remains unmatched today. Thankfully, he has caught the freestyle bug again and he has begun to train with a newfound enthusiasm. We had the chance to sit down (pun intended) for a much needed catch up with the man most known in freestyle for his old-school yet incredibly stylish, precise, and tricky sits. Urban Pitch: It’s a cliché question, but we’ve got to ask. How did you get into freestyle? Where did you first get some kind of exposure to it? Jak Gregory: My earliest memory of freestyle was back in 2006. I remember going to play football with a few other kids on my street. One of the guys had a foreign exchange student staying with him from Belgium, and he started doing a few ATWs and crossovers after we were done playing. I always loved the skill and trick aspect of football, so when I saw this, I was stunned and instantly I asked him to teach me and give me tips. I had never seen this stuff done by just a “normal” person before, my young naïve mindset only thought footballers like Ronaldinho and Ronaldo could do such tricks. When I got home, I went on YouTube and searched for more, and that’s when I came across Soufiane Touzani and Palle, then I was hooked. Freestyle was far from the mainstream back in those days. Can you describe what the UK freestyle scene was like when you first started? The scene was so fresh! Not to say it isn’t now, but it had this secret underground feel to it, because freestyle was nowhere near as publicized as it is now. 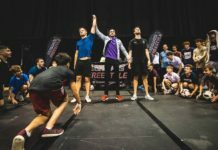 There were only a handful of UK freestylers, and the community was so close-knit. Again, it still seems that way now, but it felt extra special back then. Our main source of communication was on MSN Messenger and the Beyond Football Forum. Man that stuff used to be booming back then, those were the golden days! I remember all the Northern UK freestylers had a meet every weekend in Manchester without fail. I miss those days so much, and I’m sure a lot of the UK boys can relate. Nonetheless, it’s great to be back and meeting new faces too. I was a spectator at the Red Bull Street Style London competition that you competed in back in 2009, the one that was held in a church! How do you remember that night? Without a doubt, that’s one of my best freestyle memories. The atmosphere that night was so good. The location was great too, a massive raised circle stage in the middle of a church with the crowd sitting all the way around us. I remember the incredibly loud echoes when they cheered, I’d never freestyled in such an atmosphere. I have to add I was super nervous, and I’m sure all the other guys were, well, apart from Andrew “Iron-Nerves” Henderson, who took the win in the final against John Whetton. I must say though, that the best thing about that night wasn’t even the freestyle itself, it was more about having all the UK freestylers in one place. Meeting everyone that you watch on YouTube in person, right in front of you, it’s a surreal feeling. So you left the country for a little bit I understand. Where did you go and what did you get up to? I went down under. Australia has to be my favorite country that I have ever been to. The weather, beaches, lifestyle, just everything was perfect. I stayed for six months with my girlfriend and had the best time of my life. I am very sure that my visit to Australia played a part in getting me back into freestyle. Maybe it was the Vitamin D overload from that hot Aussie sunshine! I know one thing for sure, and that is I plan to move to Australia permanently in the next five years. You were one of the UK’s top freestylers when you decided to stop. Why stop at such a time and why did you return? In late 2010 I injured my lower back and it lasted for about a year. During that time I sort of just forgot about freestyle and lost my dedication and motivation to try and get back into it. From 2010 to 2017 I think I had about two random freestyle sessions, and my level had dropped so significantly, which was disheartening. I was about 30 percent of the level I once was. That’s when I decided to chuck the towel in completely. That was until the start of 2017, when I was in Australia. 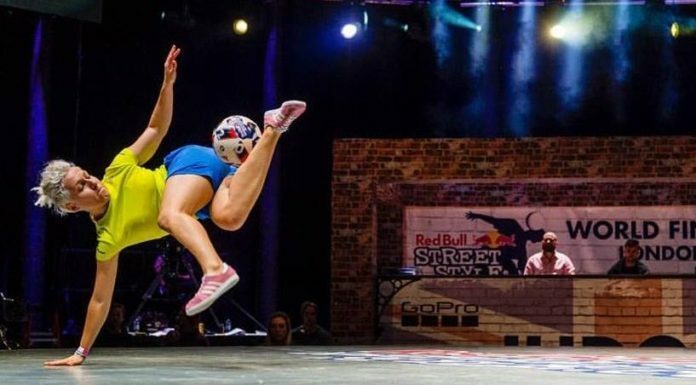 I got a weird urge to watch some freestyle football and see what’s going on in the community all these years later. Watching the guys I used to train with and compete against reignited that passion for training. That freestyle bug is a strong and contagious one and once it got me again, I remember why I loved it so much! As an old school freestyler, how do you think freestyle in general has changed now? It’s funny because besides the level of freestyle going through the roof, it’s a totally different online platform now. Like I said earlier, it used to be MSN and Beyond Football Forum, now it’s Facebook and Instagram. I think this has a huge influence on the popularity and level of freestyle as a whole. It’s so easy to just stumble across freestyle videos, even if you are not a freestyler actively searching for them, as they are always being shared on Facebook. The communication is far easier, contacting whichever freestyler you wish without waiting for them to accept your MSN. 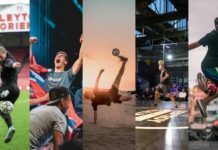 So the community and level of freestyle has grown a lot, as more and more people take up training freestyle and more ideas are shared, and there’s also better marketing, advertisements, and social platforms, which have helped change the game in a few short years. It’s almost like I’ve time traveled six plus years straight into a new generation of styles and tricks. I think I speak on behalf of everyone when I say you have some of the most iconic sits on the planet. How did you get so good at them? I mean, obviously you practiced but were you putting more time and effort into this category than others, did it just come really naturally, or was it something else? That’s a great compliment and I hope people do agree with you on that. I would say sits did come to me quite naturally, but I also would say that the way I trained them was key in how I got them to where they are now. Back when I started taking them seriously I would study certain sit freestylers that had the “stand out style” like Abdullah, Matt Leclair, Matte Linder, and Mikael Lindroth. I remember downloading their videos and putting them in an editing software to slow them right down so I could see what they were doing that was different from everyone else. That’s when I realized a crossover or x-over is not simply just that straight forward in regards to how you make tricks look. I would train four move combos with the goal of keeping the ball as centered as possible and the movements as sharp and snappy as possible while keeping a strong posture. Anytime I trained I would make a super conscious effort to do the above, not worrying about the technicality of the tricks, but just focusing on the look and execution instead. What freestylers do you watch for inspiration? My main inspirations have and always will be Abdullah Bellabas and Matte Linder. I think I must have watched every available clip on the internet of these guys. Even now, every time I watch Abdullah I just get filled with inspiration. I don’t think a lot of the new generation freestylers quite appreciate his level of control and the way he does tricks with added style, it’s very unique. Matte Linder was the guy that got me into training sits seriously though. I remember seeing one of his first sit down videos he released in that famous garage of his with the random car door in the background and his blue Adidas Spezials. It may not have been the most difficult but the style of it was a game changer for me. What sit down tips would you give to others? Asking for a friend. Focus on posture, speed, cleanness and keep that ball centered. Also make sure you record your sits from a side angle so you can check you are actually going around the ball. This is much harder than most realize and far too often I see people doing a crazy amount of crossovers but to be frank, their feet are just flapping around behind the ball. This is my pet peeve and I find it cheapens this category of freestyle. I would much rather see two crossovers with feet over the ball than 10 crossovers without a single one being clean, ain’t nobody got time for that! Now that you’re back, what are your current freestyle goals? My number one and main goal is to make sure I am always having fun and enjoying it. A small goal of mine at the moment is to learn the new sole variations and blocking sit tricks, stuff like that was never around back in 2006-2009. It’s a funny adjustment for me and it’s a step out of my comfort zone, especially making sure I can keep things looking stylish with all the new variations. In the grand scheme of things for me, it’s just little goals. I’m not training to be world champion or to win competitions, none of that is in my mind at all. Competing and the “serious” side of freestyle could become a goal in the future though, but for now that is not in the picture. Can we expect to see you at Super Ball this year? Or maybe even the European Championships in Manchester? I would love to be able to go to Super Ball this year, but I’m on that poverty time right now (laughs). Next year I will make sure I can go, it looks like a blast and I can only imagine what the atmosphere would be like. I will have to settle for the highlights on YouTube this year though! I will 100 percent be at the Manchester Euro Championships in September, no excuse for me not to attend as I only live 40 minutes from the event. I’m sure I will be seeing some old faces as well as new ones there! For more of Jak Gregory, follow him on Instagram.